December 6th – While FYEG’s delegates are fully occupied defending the green youth voice of Europe at COP24, we had the opportunity to talk with Becci Morsch specialised on gender topics. EEB: What is your impression about the COP24 so far? In the light of the IPCC Special Report on 1.5°, we see that this moment in time and this COP is crucial for the future of wo*mankind. Therefore, the expectations we have towards the parties are very high – ambition needs to be raised immensely in order to stay within 1.5° limit. But so far, we do not see this happening here. What we see is global emissions still rising, we see a Polish president promoting the use of coal and we see Brazil opting out of the presidency for 2019 and calling climate change a “Marxist hoax”. The urgency conveyed by the recent IPCC report is not translated into ambitions here at COP. In that sense, on the one hand, attending the climate conference can be very exhausting and frustrating. 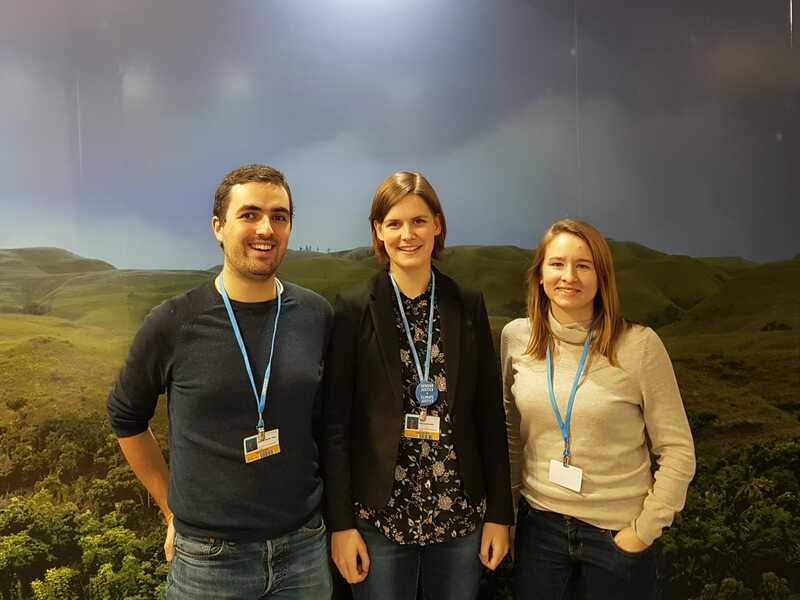 The impact and the means available as a young NGO observer are very limited, and already in week 1 of the COP24 there have been several negotiations that were completely closed to observers. On the other hand, participating in the UNFCCC process can be very empowering and impressive. I have met incredibly remarkable and inspiring people at this conference who are fighting climate change, fighting for their rights and fighting for their voices to be heard. This gives me hope! So even if we might be prone to think that there’s no point in the negotiations and that they might lead nowhere, we can recognize the huge role civil society can play in future ambitious climate action. We need to rise up. EEB: In which negotiations are you participating and how are those negotiations organized? In general, many negotiations take place at the same time during COP. Due to this very tight schedule, it is impossible for a single person to follow all the negotiations taking place. Therefore I, personally, have been following the topic of Gender and Climate since the COP23 last year. At COP24, gender plays an important role in many parts of the negotiations. First of all, it is a separate agenda item in two of the bodies that meet at this conference. Both at COP itself and under the Subsidiary Body for Implementation, it is currently discussed. Moreover, gender is an important point as a crosscutting issue in all levels of negotiations. No matter if Mitigation, Adaptation, Loss and Damage or Finance, it is crucial to take gender into consideration and to find gender-responsive climate solutions. Fighting for gender justice here at COP24, we demand that especially the guidelines in the Paris Rulebook that is currently negotiated are gender-just and human rights-based. We must include references to gender wherever needed and it is not enough to only mention it in the preamble to the Paris Agreement. EEB: What topic is discussed the most at the negotiations where you are attending? There are several things that are negotiated now. In the last years, there were two main milestones regarding gender. At COP20, the Lima Work Programme on Gender was passed and last year at COP23, the Gender Action Plan was finalized and adopted. These are the foundations for the process ahead of us. Parties are now asked to act on capacity building, gender balance in delegations and gender-responsive implementation, among others. This process is to be reviewed during the next year in a report, so this is one topic that is discussed frequently in the gender negotiations. Gender as a cross-cutting issue is also discussed quite controversially, as many parties do not want to include gender and human rights among others in the Paris Rulebook but think it is enough that those are already mentioned in the Paris Agreement preamble. EEB: Can you explain to us how climate change is disproportionately impacting women and minorities? Different gender norms, access and control to assets, as well as unequal decision-making power lead to different knowledge, vulnerability and ability to adapt. This translates into women being more likely to be affected by e.g. natural catastrophes in the context of climate change. As one example, the lack of ability to swim can have negative impacts on women in situations of floodings and cause more female victims of climate change consequences. This is only one scenario of many that need to be considered when looking at adaptation and loss and damage, but also regarding mitigation. Women can also be powerful agents of change in climate protection. They hold knowledge and experiences which is crucial within the process, and which need to be acknowledged. Women therefore hold a key role in fighting climate change. Climate change cannot be tackled without allowing the full participation of women in all levels of decision making and without taking gender considerations into account. Despite all this, women are still not equally involved in climate policy and decision making, for example women still make up less than 40 % of those in decision-making power in climate negotiations at national and International levels. This needs to change – Gender justice is climate justice. Tagged climate negotiations, COP, COP24, FYEG delegate, Gender. Bookmark the permalink.